midday snack or for the preparation of sweets and other dishes. Melt the sugar slowly in the pan, being careful not to burn it. Roast the pistachios, and mix with the melted sugar. Stir for one minute on a low heat. Pour the warm mix onto a marble surface and with two lemon halves flatten and shape to obtain a rectangular form. Let it cool down and cut into pieces. Shelf life 12 months in cool, dry place, away from direct sunlight. Transported and stored in ambient temperature and humidity. I am Alfio I decided with my family to focus on the country's agricultural tradition of Bronte. 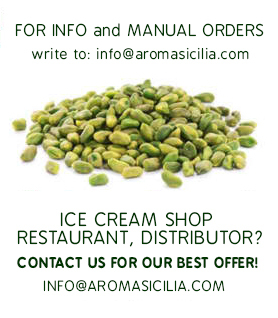 We have transformed the family production of pistachio in dialect ''loco'' on the farm AromaSicilia with the aim of promoting the high quality of pistachio to an even greater ... now online. 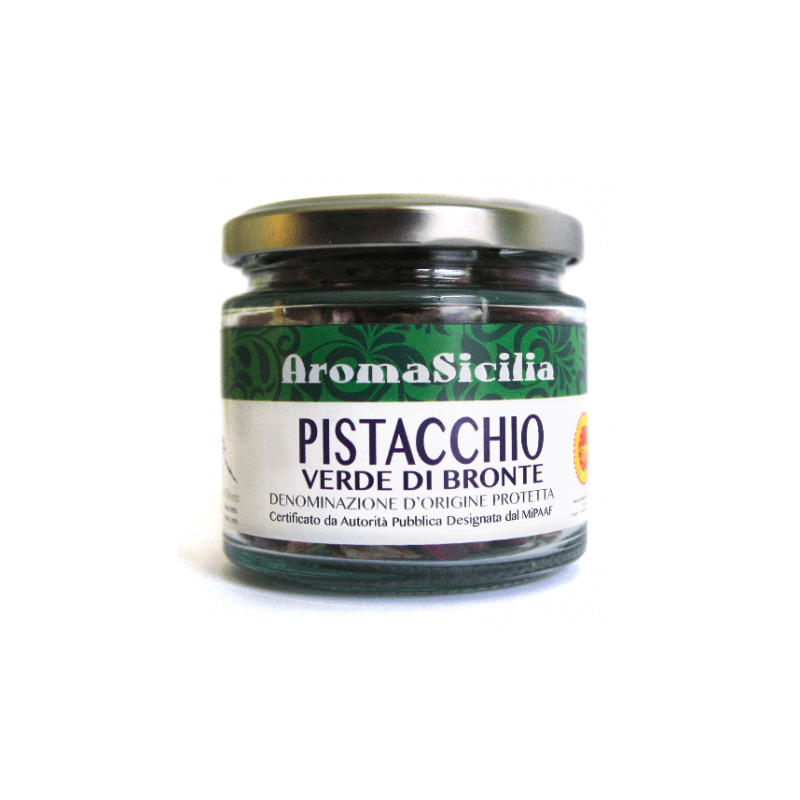 Copyright 2015 Powered by Aroma Sicilia. All Rights Reserved.